I grew up on a ranch in the Central Valley so it all started with working in nature as a young child. My love for flowers really got started in my grandmas beautiful rose garden, when I was 7 years old. When grandma wanted flowers in the house she would ask me to go get some from the garden and to make arrangements to decorate the house. She would provide me with all the tools I needed and then gave me total freedom to design and decorate however I wanted. With all of the structure in education I like to allow my students the space to come design and relax allowing the creative side of brain to fully engage -- in the same way my grandmother provided me that opportunity. The American Institute of Floral Designer's national Competition. You see the best of the best from all over the world. I am inspired each time by all of the new products and types of flowers that are shown. I also am incredibly proud of my students who took 3rd place, in the nation, as a team as well as one of my girls took 1st in the nation for her wedding bouquet design! We strive to truly treat people the way that we want to be treated. Great customer service and attention to detail are very important to us. Melinda: "Treat others the way I would like to be treated." Over 30 years later and I can honestly say that serving others in that way, has served me well. Nicolette: "I'd say our philosophy is to help couples create a day that is a true reflection of their love and style. Mom encourages brides to bring their Pinterest pictures into the consultation so she can get a visual of what they like. But she'll also look for ways in which we can add a twist to it and make their flowers unique and a little more personal." Melinda: Handing the bride her bouquet is my favorite part of a wedding. Seeing our finished product in the hands of the bride is a great feeling! Nicolette: "My favorite part of a wedding is when the bride is walking down the aisle. Everyone tends to watch her- I'm the person who will turn around and watch the groom. His face is always my favorite. Whether it is tears, a giant smile, or a serious expression absorbing the weight of the moment- it's perfect." Melinda: I get to live my passion of floral design in all of my jobs. 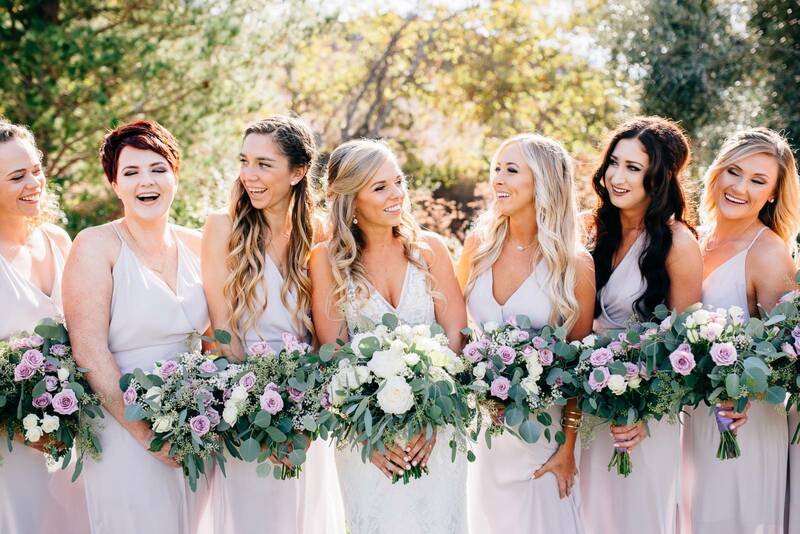 From providing floral design at real weddings to teaching and mentoring my floral design students at Cal Poly, it's a pretty great life and makes me so happy! Nicolette: Because I always have. LOL. When I wanted money as a child, she (mom) would be like, "Okay go wire and tape this pile of ivy leaves and you can have five dollars." Cut to a few years later, and I actually got to help deliver events, process flowers, and make bows. Then once I got better at designing in high school, I was making all of the boutonnieres and other pieces. In college, I would help set up weddings from start to finish and take photos of our work. It's always been an evolution of sorts. Once the internet became a real thing I convinced mom that we needed a website. As things progressed, I became the person who naturally handled all things techy. Today, because I have my own separate day job, I'm not doing as much day to day designing. I am the part of the business that handles social media, marketing, advertising, website, etc. You will still catch me at a wedding every once and a while though if she needs another set of hands! My daughter, Nicolette. She is incredible. She has a great sense of humor and is just the best -- inside and out. On my day off I enjoy being in my garden. I have alot of succulents, hydrangeas, sweet peas, and a ton of foliage! Mindi! Thats what my friends call me. 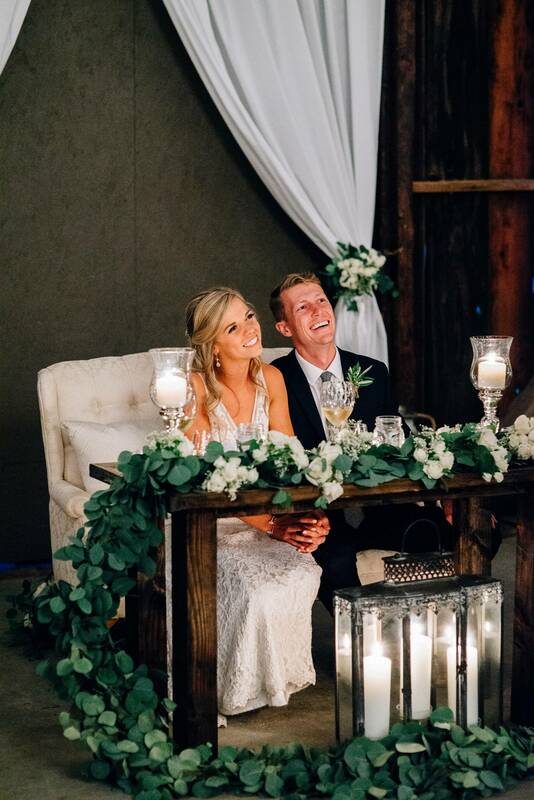 Wedding trend that you're loving right now? 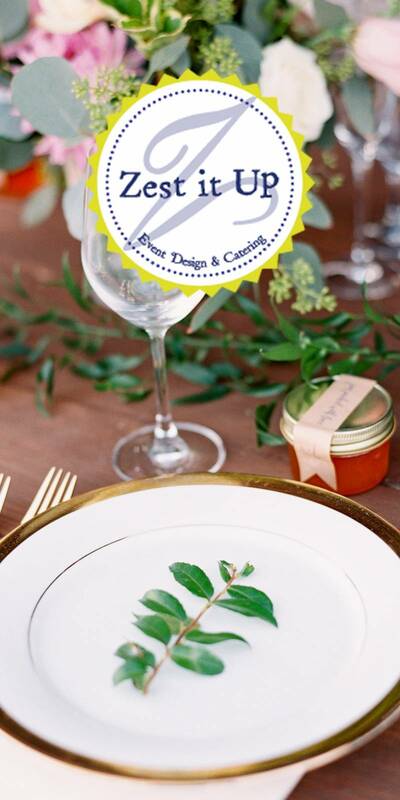 Melinda: Three trends I am loving are: the use of green foliage, the crisp and clean look as well as the mix-matched designs. Nicolette: I feel like brides are gravitating back to more formal affairs than in years past. It's less DIY and more elegance. I've always been of the opinion that weddings are basically your one free pass in life to get as fancy as possible, so you might as well take advantage of it! I also love the popularity of beautiful signage these days. Calligraphy, hand lettering, graphic design- I so admire the creativity and talent of the folks who can do that. I always ask: What is your vision? Baby breath. Every time I think its gone, its back.